Your satisfaction is important to us, therefore we do everything to convince you! Due to innovative technology and top products you are in good hands with us. – Promised ! Try it out. During the treatment you can totally relax. 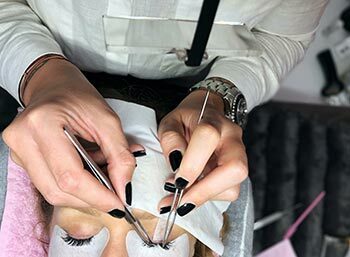 You can lay down with their eyes closed on the cosmetic lounger, while the extensions are attached to the natural lashes. Thanks to two special techniques, 1: 1 and Volumation®, you can achieve both a natural and a glamorous look. With the 1:1 technique it is possible to lengthen your own eyelashes. Synthetic eyelash extensions are applied individually to the natural eyelashes. You can choose between different lengths and curvatures to create different looks. The extensions last for up to 6 weeks, but a refill is recommended every 3 weeks. The Volumation® technology provides even more volume than the previous technique, with a fanning effect. This is achieved with finer eyelash extensions. 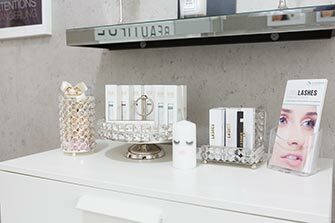 This technique is recommended for the customers with gaps or fine and few natural lashes (hormonal or nature-related). Due to the fan technique, these can be concealed very well. Of course it is also possible to upgrade from 1: 1 technique to Volumation® technique. Both techniques of eyelash extension are applied in different lengths and thicknesses according to the customer’s requirements. The natural lashes have a very specific growth cycle and are constantly renewing themselves. 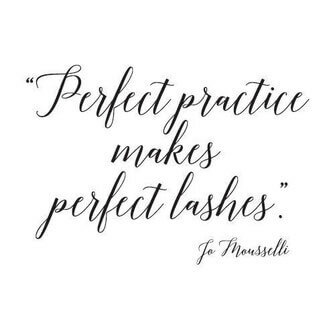 Our natural eyelashes change approximately every 3-5 weeks, which is why so-called refills are necessary. When refilling, new extensions are attached to all free natural eyelashes . Too long-grown extensions are renewed. the refill is recommended every 3 – max. 4 weeks in order to get a long-term beautiful result. This is how they can be worn permanently, without damaging your natural eyelashes. The products we use are made in Germany. They are specially selected and developed for sensitive eyes and particularly for allergic. No animal testing are carried out during production and we also don#t work with animal products. All extensions are made of synthetic. Regular training and high-quality products support a high standard of quality. Due to our special medical adhesive, which is excellent in resistance and compatibility, daily showering, sports activities, swimming and sunbathing are possible without restriction. So that the eyelash extensions retain their full splendor, you should follow a few care rules after the treatment. DO NOT make the mistake of NOT cleaning your eyelash extensions. Many customers are afraid to cleanse their new eyelashes properly because they fear they might lose their eyelashes. When you do not cleanse and care for your eyelash extensions, not only will you lose durability, you may also risk eye inflammation or blepharitis. Therefore, you should pay attention to the following easy steps.